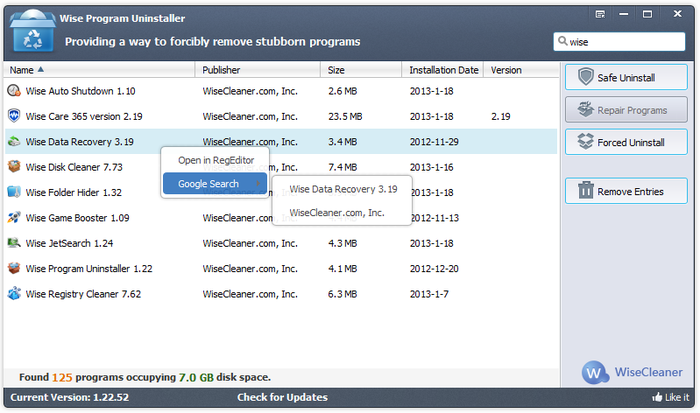 Wise Program Uninstaller is a handy tool that helps you uninstall applications from your computer and delete leftover files. 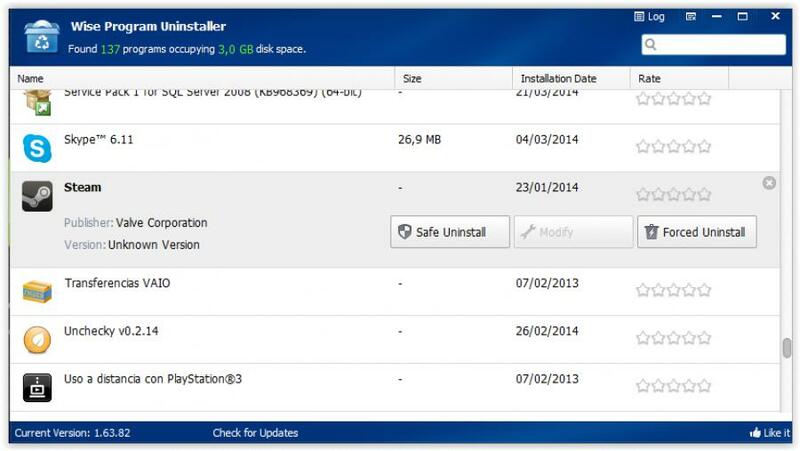 It works much like the standard Windows Uninstaller, but its extra features and Forced Uninstall options make it a good tool to have on hand. 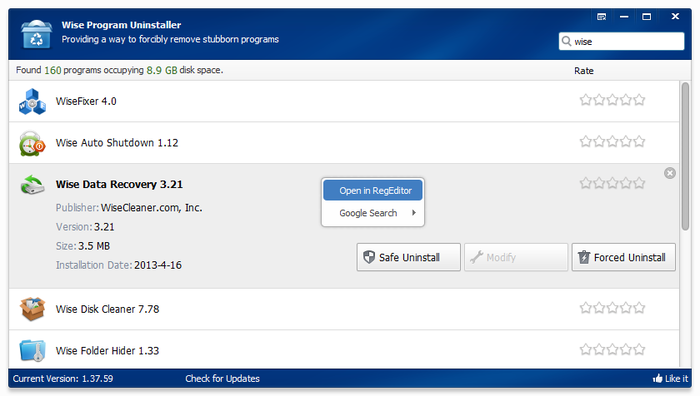 The app’s interface is clean and intuitive. 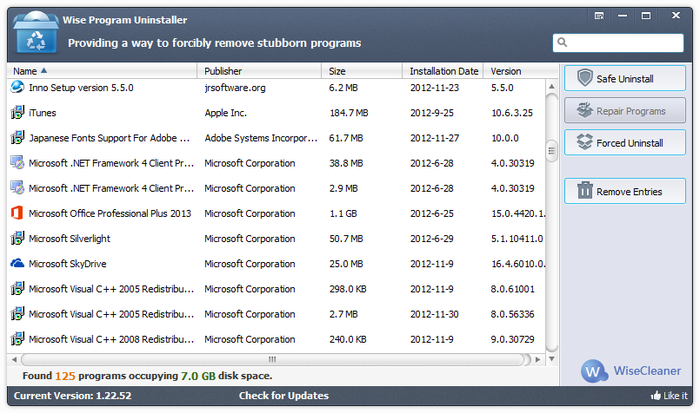 Wise Program Uninstaller automatically displays a list of all installed apps on your system when the apps starts. 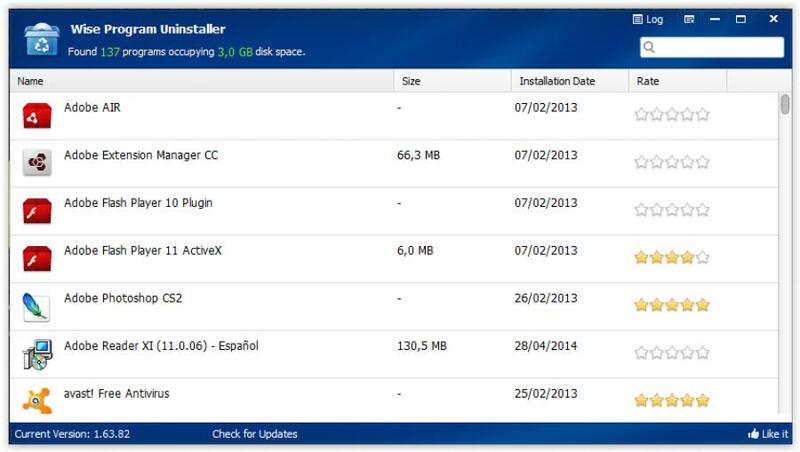 This list reveals useful information on each item: name, publisher, size, installation date and version. 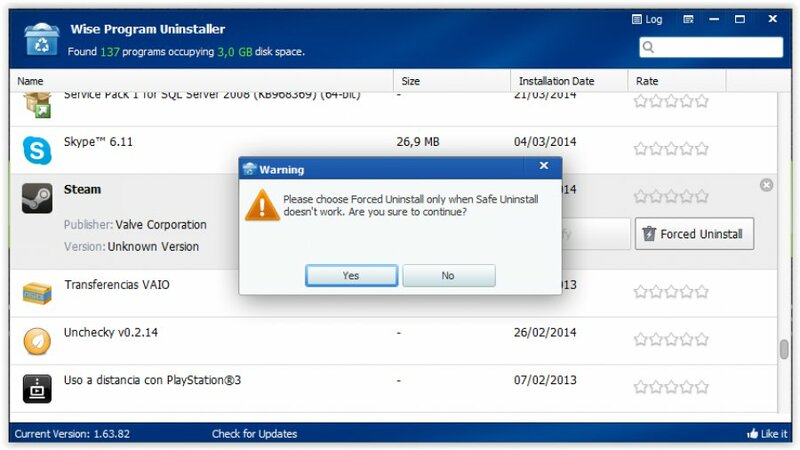 Wise Program Uninstaller supplies users with two uninstall modes – safe and forced. 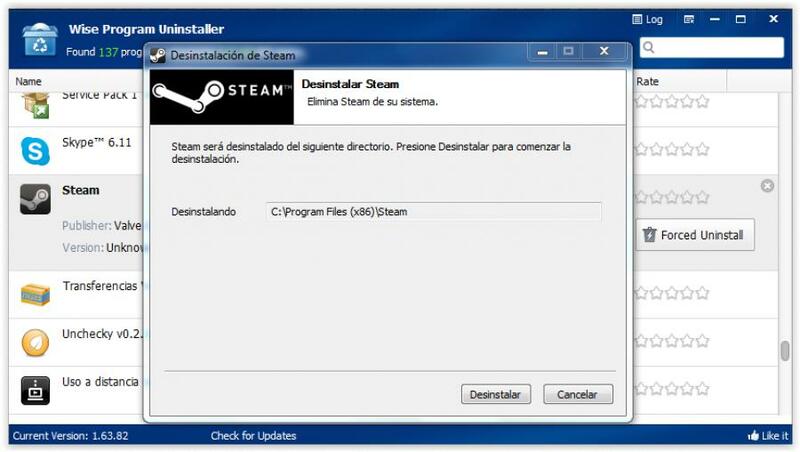 Wise Program Uninstaller gives a great boost to the standard Windows Uninstaller.